Meditation is an practice where you focus your mind on something like your breath, a mantra or an object, to achieve a mentally clear and emotionally peaceful state. When you focus your mind, while you meditate your thoughts start to fade in the background and eventually will disappear. I have been meditating for over four years and I am going to share two practices that I use. 1. Close your eyes, look straightforward, make sure your spine is straight and your legs are shoulder-width apart, your feet are flat on the ground, and your palms are facing up on your lap. 2. Slowly inhale (make sure you breathe from your diaphragm), exhale through the nose. If your mind starts to wander, just refocus on your breathing. Try to say a mantra, as you inhale and exhale. A mantra helps to quickly focus the mind and still the thoughts. Once your mind is fairly silent, drop the mantra and focus on your breath. The mantra can be any sacred words such as “So Hum”, which means I am that. 1. Close your eyes, look straightforward, make sure your spine is straight and your legs are shoulder-width apart, your feet are flat on the ground, and your palms are facing up on your lap. 2. Slowly inhale (make sure you breathe from your diaphragm), silently in your mind repeat the word Sooooo. 3. Then slowly exhale through your nose while silently in your mind repeating the word Hummmm. Continue to allow your breath to flow easily, silently repeating Sooooo… Hummmm . . . with each inhale and exhale of the breath. 4. Whenever your attention wanders, gently return to your breath, silently repeating Sooooo . . . Hummmm. 5. Do this process for 10 to 15 minutes or until you have entered a deeper level of awareness and consciousness. It will then become unnecessary to continue repeating the mantra. That’s how to meditate. If you are still struggling to meditate, try guided meditation, read post on my 10 best free guided meditation websites or join a meditation class, as its easier to meditate in a group. 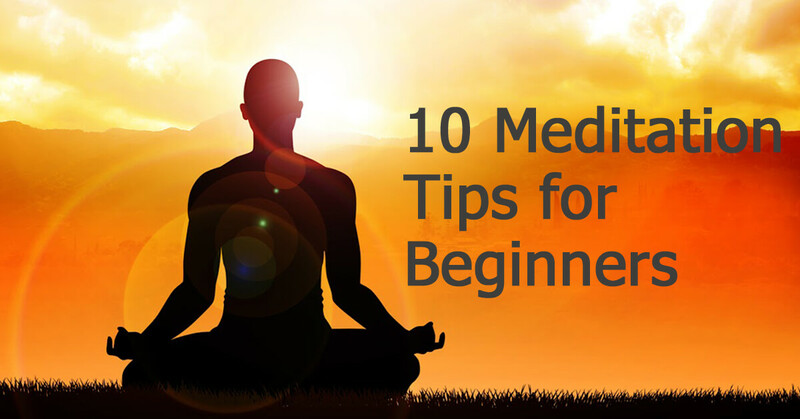 I know how hard it can be for a beginner to start learning meditation, as I once was a beginner myself, I am going to share my top tips that helped myself get started and helped to develop further in my meditation practice. 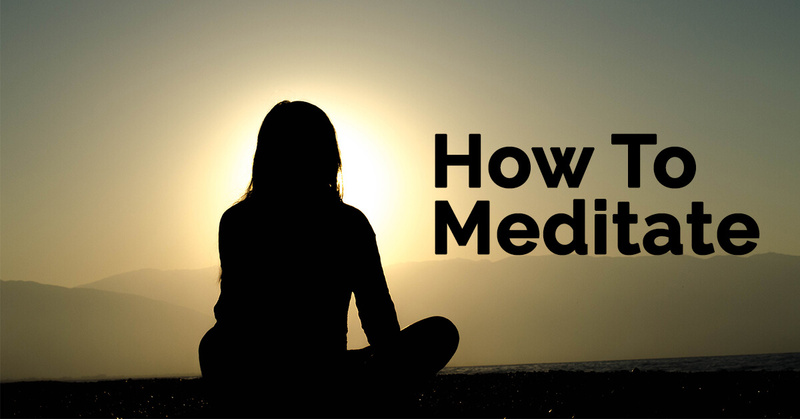 The first thing you need to do is to try different meditations, to find out which one works best for you. There are many types of meditations like mindfulness meditation, yoga meditation, mantra meditation, transcendental meditation and much more. Try to set a time to meditate at the same time each day. If you are new to meditating start with 2-5 minutes every day, once you feel comfortable meditate longer for 15 – 45 minutes a day. It is easier to meditate with other people, go to a group meditation at least 1 – 2 times a week. You can find groups in your local area or on Meetup.com. If you have lots of thoughts in your mind and you find it hard to focus. Repeat sliently to yourself a mantra or prayer. Mantras are a simple but powerful technique that uses the breath and the repetition of a mantra to quiet the mind and relax the body. Try So Hum Mantra Meditation and The Mantram: Learn the practice and experience the benefits by Eknath Easwaran. Prepare a scared space, it could be a section in your living room, bedroom or anywhere you can get free of other people, obstructing objects and gives you the space and peace needed for the duration of the meditation. Add what you need in the sacred space like a lit candle, incense, flowers, crystals anything that will make you feel more comfortable and relaxed. It is not a good idea to meditate just after eating a big meal. The body will be heavy, the consciousness will be heavy and your meditation will not be great. It is advisable to meditate on an empty stomach. At least two hours should lapse between your meal and the time that you sit down to meditate. Get a comfortable chair with a cushion, it’s important that you are able to sit in a comfortable upright posture that feels natural to you. Sit forward slightly, to avoid leaning against the back of the chair, make sure your back (spine) is straight and your legs are shoulder width apart, and your feet are flat on the ground and palms are facing up on your lap. Do you have any meditation tips for beginners? Let me know by leaving a comment below. 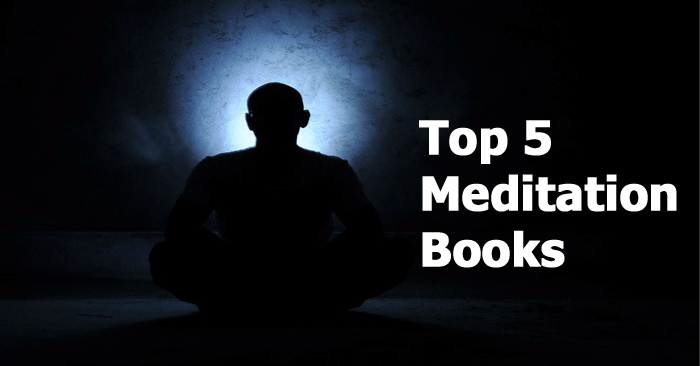 Below are my top 5 Recommended Meditation Books. These are the meditation books that I use to help further my current meditation practice. If you are new to meditation, the first thing I would recommend is to join an offline meditation class. The teacher will make sure you are doing the techniques correctly. If you have any problems or concerns you can ask them. Also, try different meditations and choose the one which will help you to still your mind. In my opinion, the best meditation practice is to focus on something like a mantra, or an object. I personally practice Kriya Yoga meditation. It incorporates many different techniques, you can use to still and calm the mind no matter what is going on around you at the present time. *If you are a beginner, meditate for 5-10 minutes every day, once you feel comfortable to meditate longer for 15 – 30 minutes a day. What is your favourite meditation book, let me know by leaving a comment below. 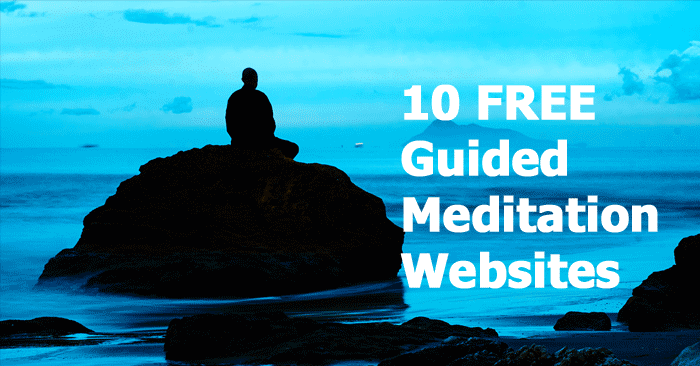 Below are 10 of the best free guided meditation websites. I recommend these for seasoned meditators and beginners who would like to learn how to meditate. *I also recommend for beginners to join an offline meditation class or group. It is easier to meditate in a group and if you have any problems or concerns you can ask the teacher. Each guided meditation is different, try them all and stick to the meditation practice that helps you to still your mind. Let me know what you think, by leaving a comment below. *If you are a beginner start meditating for 5-10 minutes every day, once you feel comfortable meditate longer for 15 – 30 minutes a day.